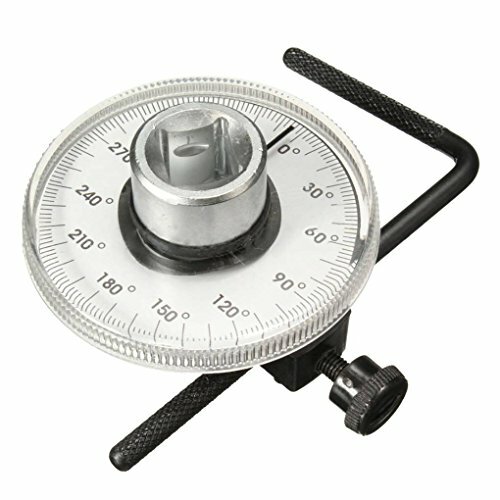 For 1/2" Inch drive torque angle gauge, and for 1/2" male and female square drive. With 360 degree scale, with intervals of 30 degree for easy use. Perfect for mechanical repair, household use, car repair, etc. Made of metal and plastic material, light, tough and durable. Easy to read dial, and calibrated in degrees. 1* Torque angle gauge wrench. If you have any questions about this product by AUWU, contact us by completing and submitting the form below. If you are looking for a specif part number, please include it with your message.